In an article for Suite101, a collaborative publishing community, Stephen Raburn delves into the research supporting the pay-off for investing in early childhood development. Although the article dates back to February of 2010, its content is still relevant today. Early childcare and education has been a hot topic, especially with the past election, and in terms of the issue of funding such programs; therefore, understanding the pay-off for this investment is crucial to move forward for progress in early childhood development. 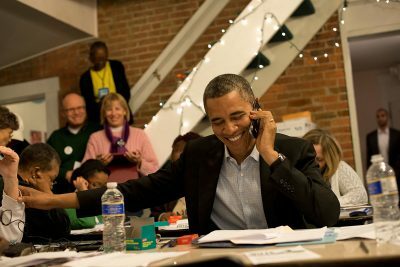 President Obama Proclaims November 20th National Child's Day! Following in suite to Canada's National Child's Day, President Barack Obama observes today, National Child's Day, as a day to "re-educate ourselves to creating the bright future we want for our nation's children." HMESF agrees that America's success depends on our ability to give our children the best education possible. So join us, our president, and the country to celebrate how our children have enriched our lives and to commit to help then achieve excellence in all they do! Early education may have been put on the back-burner in during this presidential race, but with President Obama’s reelection, we’ve begun to shift gears from who is proposing the best ideas for early education to how can we put these ideas into action. President Obama’s platform stressed the importance of education, from early childcare to higher education, but with the current economic climate it is essential that we come up with nuanced ways to fund early education programs, at a federal, state, and city-level. The Hechinger Report, a non-profit news organization focused on in-depth education journalism, commented on how education might change in the next 4 years. Promising to expand access to quality education in his victory speech last week, Obama will ensure the federal government will have a role in education, as opposed to Mitt Romney's campaign which argued education policies be a state and local school district issue. While Obama's first-term focused on teachers and principals' accountability based on students' academic performance. Jeffrey Henig, political scientist at Columbia University's Teachers College, predicts Obama's second term will seek to "improve how academic performance is measured." The Obama administration is expected to use Race to the Top, Obama's competitive grant program incentivizing 46 states to initiate education reform, as leverage for change to make a bigger impact than No Child Left Behind. There is much optimism, yet the reality of a new bipartisan approach to education, "it'll be a lot harder to make non-incremental changes in education policy." The Times Union reports that early learning will be pushed in the 2013 state budget. Its no surprise that it has taken this long for policy makers to see how essential early education is to the learning process of a child. Noting the return on investing in early education, Jennifer O'Connor of early learning advocacy group Winning Beginning NY said, "The whole idea is to invest in the first 5 years. Its a smart investment; its money back for communities." The State Department of Education also supports this saying, "Every dollar invested in pre-kindergarten programs saves tax payers' $7 by reducing the need for remedial and special education, as well as welfare and criminal justice services." The State department will focus the 2013 budget on recruiting more children, who qualify for free-and reduced-lunches, into universal prekindergarten. By seeking to change the law so household income can serve as a factor for selection, it will give priority to those children. Prekindergarten programs serve 100,000 children; with increased funding, it will reduce the 120,000 list of 4-year olds in New York waiting for seats. While the majority of schools in NYC hit by Sandy’s devastation two weeks ago have reopened today, about 100 schools remain closed. Naturally the first priority is to get into these schools to do necessary repairs so they can reopen once more, in hopes of returning displaced students. But before the storm hit, Manhattan borough president, Scott M. Stringer, who is also a mayoral candidate for next year, proposed a way to fund early education/child care, Head Start programs. Stringer is advocating for the use of social-impact bonds, also known as pay-for-success bonds, which are loans from investors to pay for a program, to expand access to Early Head Start. Education is likely to be a key issue in the mayoral race. Stringer's proposal would not cost the tax payers anything. To make the investment worthwhile, it is expected that an early education program would require $5 million to $25 million. Alicia Glen, head of Goldman Sachs's Urban Investment Group, said, "This seems like really smart policy, and a terrific way for the public and private sector to work together and solve chronic problems." Scott Stringer said, "We are fooling ourselves if we think the same old approach to funding education will get us to where we want to be." That is the mentality needed if we really want to make progress in early education. There has already been dialogue around the importance of investing in early education programs and its long term benefits not only to the child's development but also to the community and economy. It took a while, but local, state, and federal departments are beginning to push for early education investment. The next step is to develop innovative, even experimental ways of funding and investing into early education and childcare programs. Reading Added to Check-list for Pediatricians? Where is the one place most children go before they enter 1st grade? If you answered (c). the doctor's office, you are correct! Featured on PBS News Hour, John Marrow introduces us to a new breed of pediatrician: part doctor, part teacher. Pediatricians at Bellevue Hospital in Manhattan have been running a nation-wide program called Reach Out and Read. Reach Out and Read, which was founded 23 years ago by a group of doctors and early childhood educators, is an evidence-based nonprofit that promotes early literacy and school readiness and gives new books to children and advice to parents about the importance of reading aloud. By building this relationship between parents and their medical providers, children can develop critical early reading skills as early as 6 months. Reach Out and Read helps children from low-income and/or immigrant families to increase skills and scores in language development assessments, thus reducing the gap for low-income children at school entry. 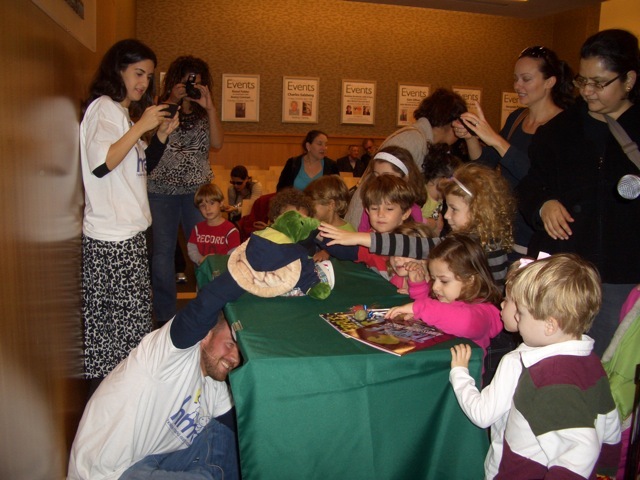 Its always great to hear about initiatives like this in NYC that support the development and early education of children through reading books. Especially because reading and providing books to children is a key element of our program at HMESF; we too believe that interacting with books at early ages is critical for children's development. Hurricane Sandy was devastating to so many people. Our prayers and hearts go out to those whose lives changed in the aftermath of Sandy. Now is the time to work together to rebuild and focus efforts on those who need our help. 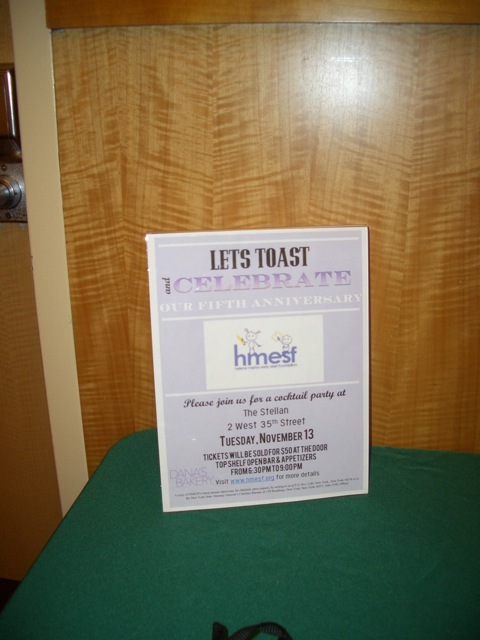 Accordingly, the HMESF 5th Anniversary celebration will be rescheduled for March 2013. Refunds for tickets purchased will be processed immediately. For the remainder of 2012, HMESF will continue with our Holiday Book Donation program. Each child at our 21 centers throughout New York City will be given a copy of Richie Frieman’s “Terple Always Dreams Bigger,” to take home. 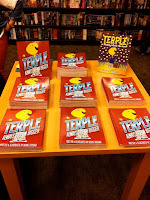 This book was just featured at our October 21st Barnes & Noble book reading and puppet show. 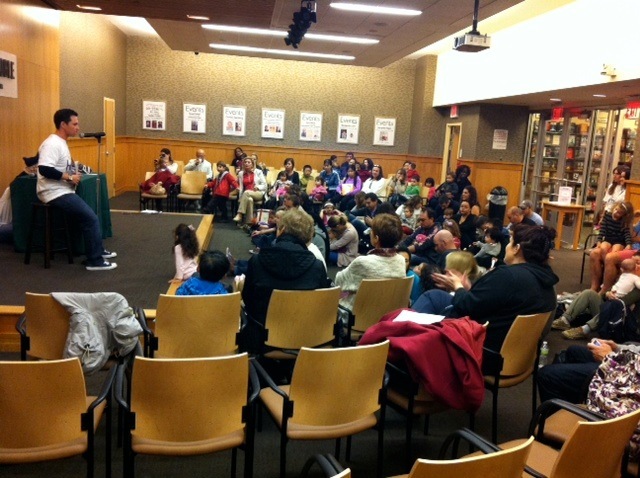 We would like to reiterate our thanks to the families who attended the event; welcome to the HMESF family! We would also like to let you know that our main achievement for the 2012 year, the launch of the HMESF Scholarship program, was realized this Fall. 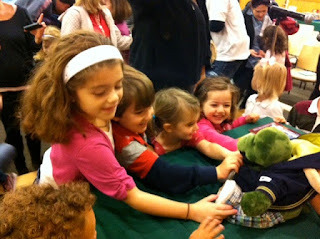 The goal of the HMESF Scholarship Program is to supplement tuition assistance programs already in place at high-quality nonprofit early-age childcare centers serving an economically disadvantaged population, to ease the burden families living in poverty and or near-poverty face in accessing quality early-age childcare and education. This year, a grant was awarded to the Mother Hale Learning Center (“MHLC”), in Harlem, NY, for use during the 2012-2013 academic year. As a result of this grant, two additional children are receiving the benefit of MHLC’s nurturing and stimulating environment. It is truly humbling to be able to have a positive impact on individual lives, and it is only through your support that we are able to do so. Please follow us on Facebook, Twitter, and website to see upcoming event details and updates. Thank you for your support in 2012, it is greatly appreciated. As we embark on our 5 Year Anniversary, we can only hope that we will be as fortunate as we have been over the past years. "Our goal is to have every city kid arrive in kindergarten ready and prepare for a lifetime of success." Hearing Mayor Bloomber's words at a news conference at a two-day education summit meeting Monday was like hearing angels sing. As you may or may not know, Bloomberg's words are core elements of our mission at HMESF. We believe that every child deserves the opportunity to succeed. In a major step in early education, Bloomberg and Schools Chancellor Dennis Walcott announced that the city would open a new type of preschool in Brooklyn's Brownsville next fall, "introducing a cradle-to-kindergarten approach to education for very young children in poor neighborhoods." Read more about Educare opening in Brooklyn in the New York Times article City to Add Pre-K Efforts in Poor Areas Next Year. Home of the New HMESF Blog! The official season of transition has begun! The leaves are beginning to change color, the chilly weather is settling in, and HMESF is launching its new blog. With our fifth year anniversary approaching, we at the Helene Marks Early Start Foundation are extremely excited for all we’ve planned in the upcoming months. The official blog will be a hub for upcoming HMESF events as well as a source for up-to-date information in the early child care and education field in New York City. 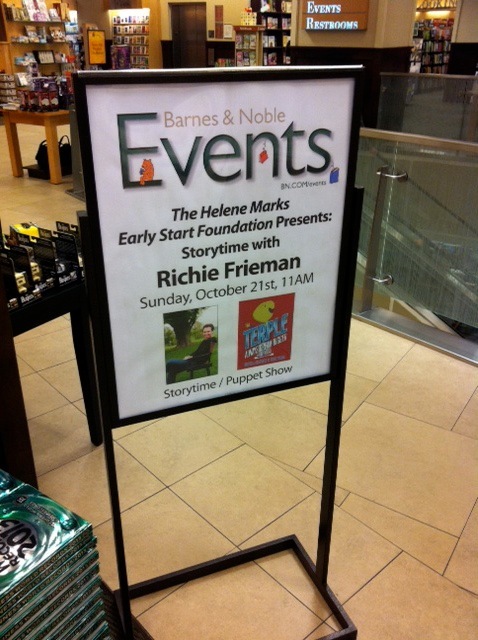 The Helene Marks Early Start Foundation is guided by the belief that every child deserves the opportunity to succeed. The foundation finds, funds, and fosters exemplary programs that offer children a healthy environment to achieve social and emotional well-being and academic success. Our library initiative provides a collection of age-appropriate books to early-age child care and childhood education programs for children ranging from ages one to three years old. 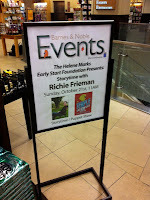 On that initiative, HMESF will be hosting a book reading and puppet show this October at Barnes and Noble featuring Richie Frieman’s Terple--Always Dream Bigger. 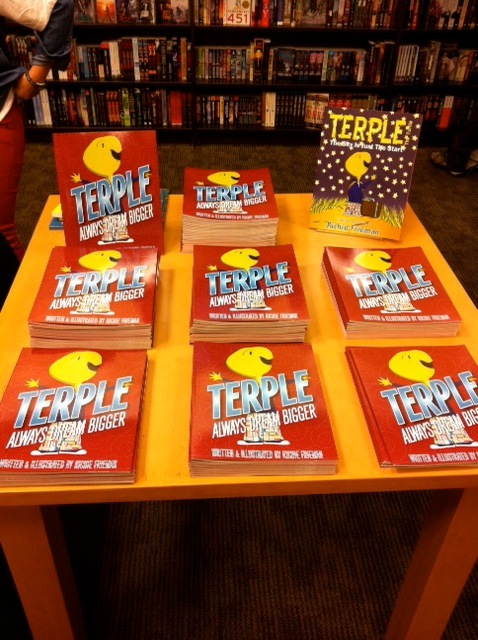 Awarded the Literary Classics Seal of Approval, Terple--Always Dream Bigger will not only be sold at the Barnes and Noble book reading, but will also be part of HMESF book/kid donations to child care centers in New York City. The next few weeks will be an exciting time for HMESF as we approach our 5th anniversary in November. Welcome to the official HMESF blog, enjoy and stay tuned!